Seven leading countries are now choosing to expel Syrian ambassadors from their countries after last week end killing spree in the country but not Sweden which feels that their eye on the ground there is still important. The CNN reports that the United States and seven other countries across the globe announced they were expelling Syrian diplomats Tuesday in a coordinated move reflecting the international outrage about a massacre in the town of Houla. 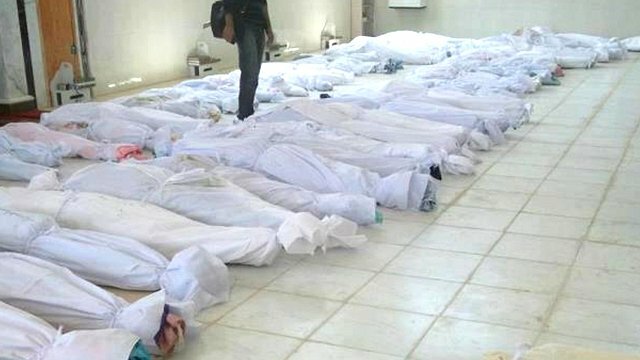 The massacre in the town of Houla last week saw over 100 people killed and as it is hard for the international community and the Syrian regime to agree on a peace accord, a concerted protest from Great Britain, Germany, France, Italy, Spain, USA, Canada and Australia is seen as a means of protest and show concern. “The Syrian representatives are not welcome in the countries as long as their leaders continue their terrible and murderous behaviour,” said Canadian Foreign Minister. The French foreign minister, Laurent Fabius criticized in harsh terms Syria and its president. “Bashar al-Assad is a murderer of his own people. He must leave power, the sooner the better,” says Fabius in an interview with the newspaper Le Monde. Sweden has been called to throw out the Syrian ambassador, believes Jaber Zain, who is spokesperson for the Committee for the Syrian revolution in Sweden. Swedish Foreign Minister, Carl Bildt says that the expulsion is easier for countries that have already closed their embassies in Syria. “These countries have already left Damascus, so they have no consequences. We wanted to stay in Damascus, we have contacts with the opposition there. Should we be deport we’ll leave Damascus,” says Carl Bildt. Bildt also points out that the EU retains their presence in Syria and that there is ongoing consultation between the EU countries of that presence. “Whether this is good or bad, this can be a subject of discussion, but we would rather get more observers there at the moment, in my opinion,” says Carl Bildt. This afternoon ambassadors from all 27 EU member states met in Brussels to discuss issues including a possible coordination of the EU's relationship with the Syrian representations. According to Swedish television, survivors talk of how the militia loyal to the Syrian regime executed men, women and children in the Hula. A few were killed by grenades - most of them were cut or were shot to death at close range. Powerful western countries are reacting by throwing out the Syrian diplomats. Sweden is not following then as yet. UN envoy Kofi Annan met with Syrian President Bashar al-Assad on Tuesday. Annan expressed "the international community's deep concern” and broad support to try to press the regime to follow his six point plan for peace. But President al-Assad said that success can only be achieved if "terrorism stops".